Recombinant Human Interferon Alpha WA (alpha 16) obtained from human leukocyte mRNA expressed in E.coli. 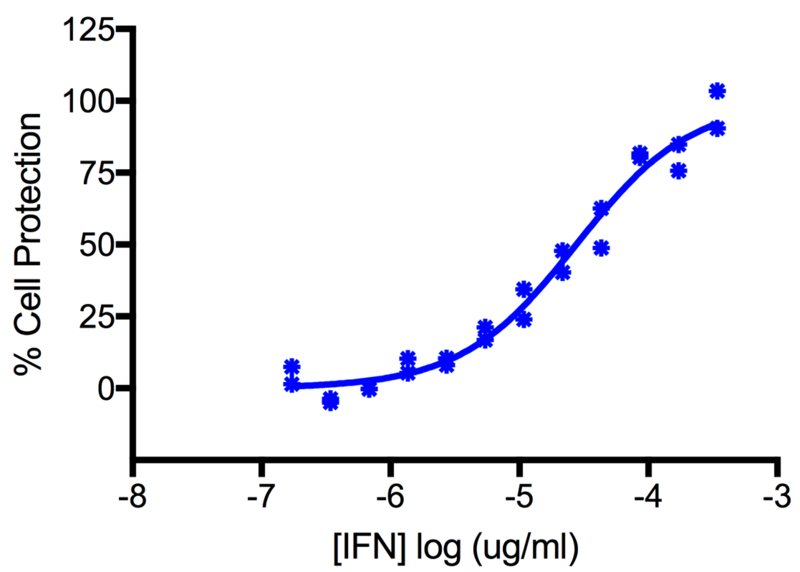 IFN alpha 16 is one of the many interferon alpha subtypes belonging to the Type I leukocyte IFN family. The Type I IFN family has antiviral, anti-proliferative and natural killer cell activities.